Superior Pak, Australia's largest manufacturer and servicer of mobile waste equipment, has announced a joint venture with FAUN Group, part of the worldwide operating KIRCHHOFF Group, Europe's leading manufacturer of waste handling equipment and road sweepers. With a history dating back to its foundation in 1845, FAUN produced its first "dust cart" especially for collecting rubbish in 1897. Production of refuse collection vehicles and sweepers commenced in 1908 with the name FAUN established in 1916. Patrick Hermanspann, CEO FAUN Group, comments: "We are very pleased to welcome Superior Pak in our Group. It is an honour for us to work closely together and to strengthen our business. All parties can learn from each other and we provide our customers with the best trucks and after sales services." Commenting on the new shareholding arrangements, which will take effect from the start of September, Rob Wrigley, Superior Pak managing director said the move will provide further depth to the company's business and product range. 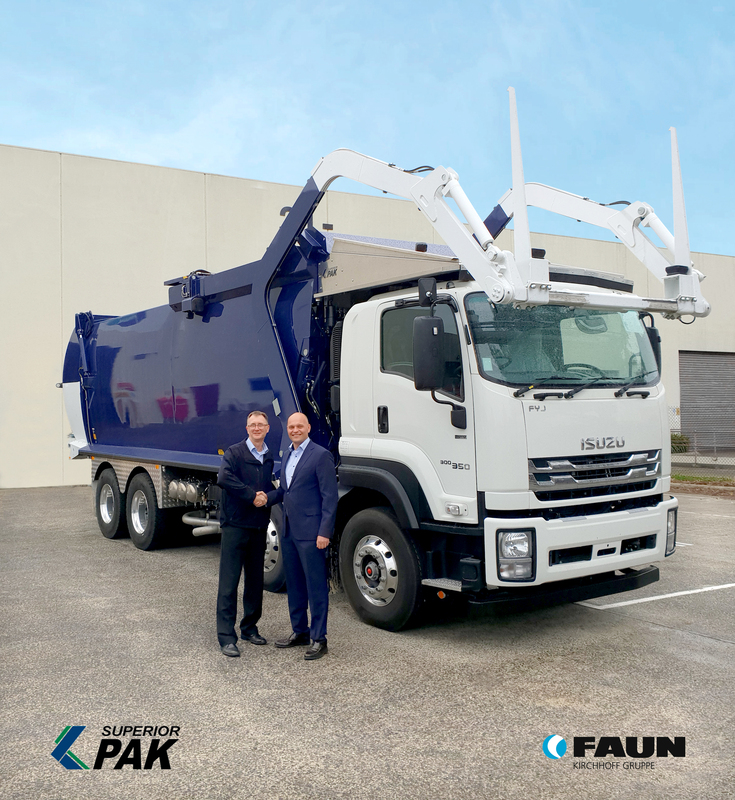 "New technologies for vehicle drive systems combined with the expertise of both partners in the production of class leading waste disposal and collection equipment will reinforce the strong future ahead for Australian manufacturing and the abilities of our workforce," Mr. Wrigley added.